Formulated with a 28.1% active complex, Grow Gorgeous 11-in-1 Cleansing Conditioner combines foamless cleansing with deep conditioning to revitalise your hair and rebalance your scalp in one simple step. Offering 11 benefits, the Cleansing Conditioner has an air-light texture that won't dry out your hair or strip it of its natural oils. Designed to improve lustre, shine and smoothness, this multi-tasking product also reduces frizz and flyaways, adds volume and hydrates your hair and scalp to leave your tresses looking full of vitality even after the first use. Gentle enough for daily use and suitable for all hair types, it's the perfect addition to your hair care routine. - L.M. This is an awesome product. It does make my hair clean, light, shiny, moisturised and adding a volume to it. I have long, straight hair and have tried so many different hair conditioners. This is the only one which could make the hair shiny and slippery, but at the same time, light and clean. Love it very much! I was looking a gentle shampoo for my newly bleached slightly frazzled hair... Tried this as seemed to have good reviews. Left Hair with a slight sticky/tackiness. My hairs naturally wavy but the heavy product seemed to weigh it down and it looked quite straight, greasy and dull. It's definitely not drying and hasn't damaged my dry ends like shampoos would but certainly hasn't left my hair smooth and shiny like promised! Smells nice! This product takes a bit of getting used to as it does not lather. It saves loads of time and it leaves my hair really smooth. If my hair has been left more than 2 days this product doesn't get it as clean as a normal shampoo but if I use it daily I can't fault it. Give it a try. It smells lovely. Tried this in one of the beauty boxes and had to buy the full size product. 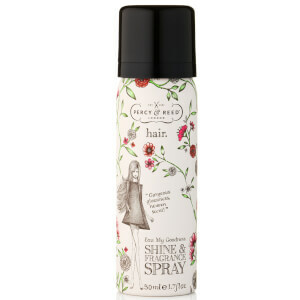 Leaves my hair squeaky clean, refreshed, super soft and really brings my blonde tones alive. Love this, I user it on special occasions to really bring my hair back to life. I have naturally curly dry hair and have found this product really good. It leaves my hair lovely silky soft and smells divine. I have mid length hair and I do need to use quite a lot,that is the only down side. But apart from that I am very pleased with this product. Very disappointing. The result was not what I was expecting based on the marketing. 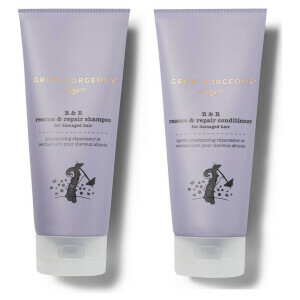 Having followed the instructions, my hair felt dry and brittle after use and looked greasy. Had to wash hair again and even then it still looked greasy. I would not recommend. As much as I love the other products from Grow Gorgeous, this one was a complete disaster for my hair. The effect was that of washing it with a soap bar, the hair was left dull, sticky and appeared dirtier than it was in the first place. I could not succeed in rinsing this product out and had to shampoo my hair twice after drying. A waste of money, don't buy unless you have tried a sample first (luckily I did) and see if it is suitable for your hair. There is glitter in this..
Everything about this shampoo is great - convenience, scent, usage. However - the 11-in-1 description is at best misleading in that the luster/shine comes from the fact that the shampoo itself has glitter in it. Now every time I touch my hair, I can glitter on my hands, which is something I do not prefer. While it may look great - it by no means makes it look shiny itself - it is because there is glitter in the shampoo. Note: My whole bathroom floor is now covered in small glitter particles. This worked well on the first wash and left my hair soft and shiny. Since using it again it has left my hair sticky and horrible had to rewash it with my normal shampoo. Tried it again thinking that maybe I had used too much even with a little it still left my hair sticky. Not good for my hair won't be using again. So, my hair is particularly troublesome when it comes to the right products, it always has been. They are either too heavy and it's greasy when I dry it or it doesn't give enough moisture and still feels damaged. It is quite curly, fine and I've been growing out balayage for a year now. The ends are dry from previous bleach (a hairdresser dyed me brown by accident and had to lift it back) and when it's blasted dry i resemble a frizzy, lion with shiny roots where my untreated hair is. I started washing with only conditioner about 3 months ago - knowing it was better for my frizz and curly hair. I found I had very soft hair the first day but it was quite flat and still a bit frizzy. It also went dry and lank the day after when the product felt too heavy. So I started washing with shampoo again on the look out for something else. I usually wash with nioxin and treat it with either kpak or loreal professional. I bought this because it was on offer, I was a bit sceptical at first as some people had mentioned they hadn't had good results. The first wash I didn't want to use a lot as it isn't cheap, when I let it air dry it was softer than I expected but not amazing. The second use however I braved using a bit more (I knew I needed a lot as I had to when just using conditioner) and my hair was absolutely amazing!! It was soft, silky and almost frizz free from the blast dry. I don't think my hair has ever felt as full of body! I am now on the 3rd wash, I managed to leave it 3 days before washing with a bit of dry shampoo in between which is unheard of for me! Usually my ends are like straw and my roots slick with oils but my ends were a swishy pony tail, even on the day I washed it! Even my boyfriend asked what I've been doing and why it looks so much thicker. I couldn't reccomend it enough! I would say to get the results you need a good palm full (my hair is mid way down my back but fine) and you really need to work it in. I squeeze out half a palm first on my roots and then the other half after to go through my ends. You need to really wash it out, I scrub it out as much as possible as any residue will not make your hair feel nice. My hair never feels soft when it's wet like it used to with conditioner but once it's dry it's amazing. The first hair product I will definitely be buying again.